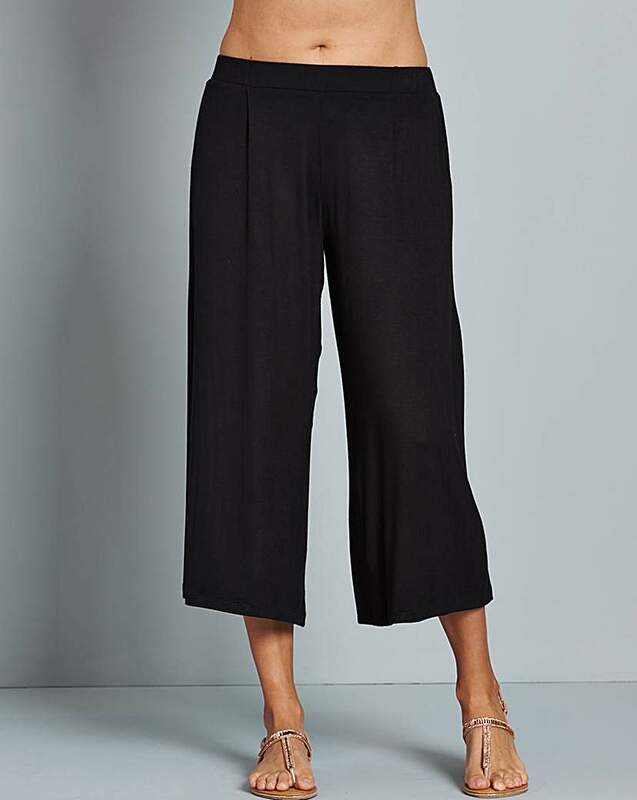 This season's fashion must-have - the culotte! This classic pair from Beach To Beach are in super-soft jersey and feature an elasticated waist and functional pockets. Great as a throw-on to and from the pool, or as your beach to bar staple. Beach To Beach mix and match bring you the ideal cover-up. Sheer georgette V-neck kaftan in an all-over print. This lightweight chiffon kimono from Beach To Beach is your holiday essential. In this season's summer bloom print, this on-trend kimono features contrast purple edging and functional pockets. Wear with the bloom swimwear pieces for the complete look. Beach To Beach mix and match bring you the ideal monochrome cover-up. Sheer georgette beach pants in an all-over print with tie detail, perfect for that beach-to-bar look. 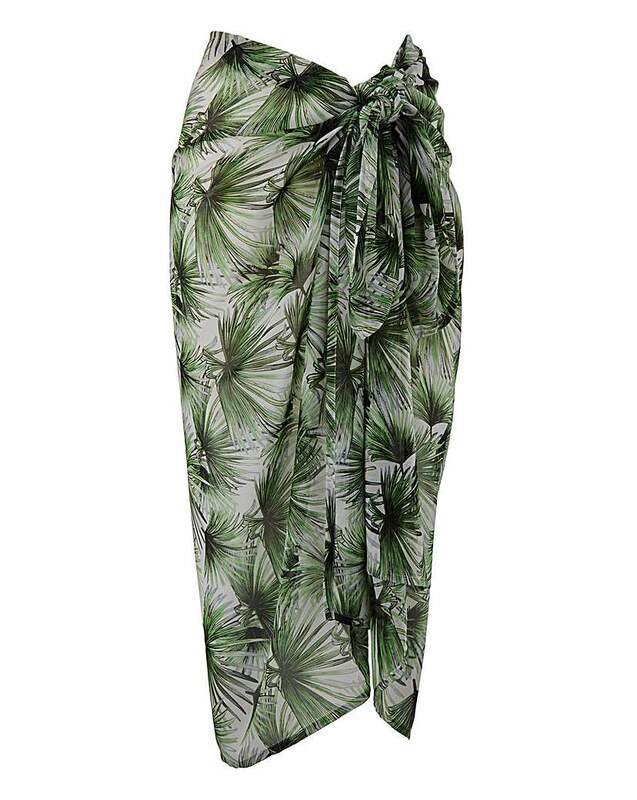 Beautiful sarong in an all-over print. Team with one of our swimwear pieces for the ultimate summer look. Beach To Beach presents the ultimate beach shirt. 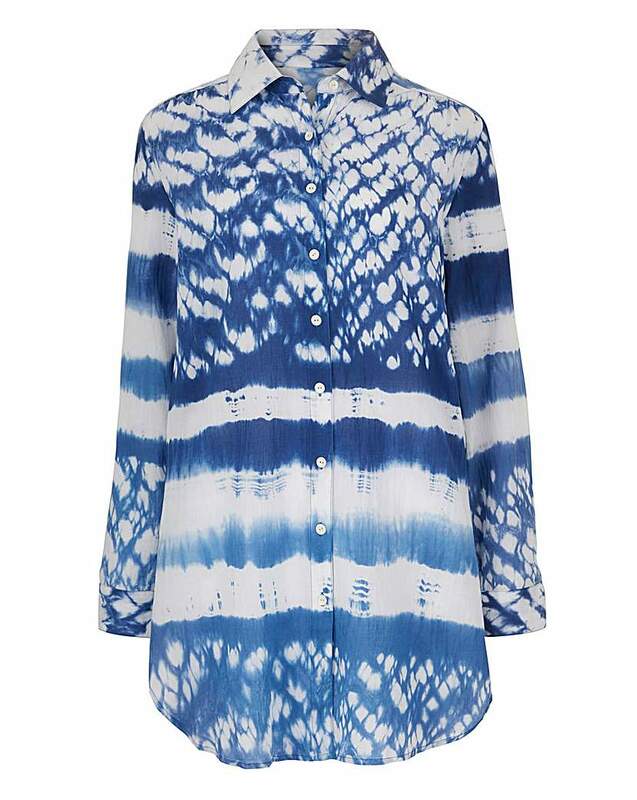 In standout blue and white tie-dye effect print, perfect for covering up by the pool or taking you straight to the beach bar. Classic button-up style with button-and-tab sleeve detail. In striking tie dye effect print, this Fantasie Averio kaftan will guarantee you make a statement by the pool. Embellishment to the neckline adds a little bit of glitz to your holiday wardrobe.